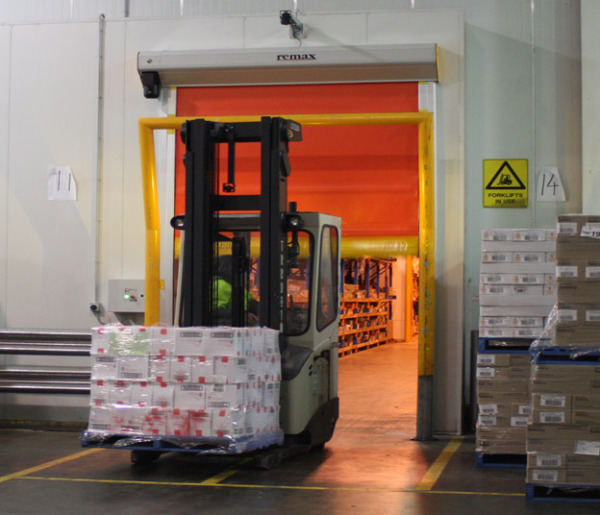 There are three main attributes that make rapid roller doors the door of choice for warehouses across Australia; speed, seal and resilience. With these three qualities rapid roller doors are perfect for high traffic doorways that need to consistently keep a tight seal when segmenting the warehouse. In this blog we will tell you everything you need to know about rapid roller doors. When it comes to choosing your door it is important to note the maximum size necessary for your doorway. A door larger than your required maximum size creates a waste of energy in lifting it, a waste of energy lost through the doorway when open and finally a waste of energy through the decreased insulation a door has compared to a wall. Thankfully most rapid roller doors can be customised to match your doorway size. Once you have decided your door size, choosing between doors comes down to the benefits each door will offer you. While some doors may take a much higher initial investment their reliability and quality may save you money in the long run, don’t forget to factor in warranties and the environments you are subjecting the doors to. Choosing the wrong door is an expensive mistake to make. For example, if you choose an industrial roller shutter (designed to be opened a maximum of 5-8 times a day) for a high traffic zone you will face increased maintenance costs because of wear, fatigue and stretching of the metal parts. Not to mention the slow speeds associated with the heavier duty door. You need to make sure your selection matches all your criteria, including your costs. When calculating the total cost of installing rapid roller doors there are 3 elements you need to consider. Initial Costs: This is the cost of installation and of the door itself. This can range anywhere between $11,000 - $18,000 depending on size and specification. Maintenance Costs: These are the costs incurred through wear and breakdown. It is important to choose a door that is robust and will be able to withstand sustained high use operation and even accidential impact, -otherwise your maintenance costs will be high. You also need to ensure the design of the door avoids over-usage of dynamic parts. For example, a door that can operate without cables and springs will attract much lower on-going maintennace and service costs than one that has those parts. Safety Assurance Costs: This is the cost of training your staff to operate and maintain the door in a safe manner. It can involve training, visual or audible warnings of door activity and assurance of fail-safe protection in case of power, brake or cable failure. By combining the above costs you can work out how much you will need to spend on your new door over its period of use. A good rapid roller door will save you on maintenance costs and safety assurance by being well designed and made from quality parts. It can also make savings through its insulation and speed, lowering temperature control costs of your facility and time for possible contamination. A good rapid door will also encourage quick and safe traffic flow, speeding up your processes while also making it safer for staff. Insulation: If you are using it as a portal between two temperature zones will it save you the money you need? Insulation will save on your temperature control efforts. Reliability: Will the door stand up to impact? It is important the door is robust and reliable. Some doors even come with self-repairing features. Speed: Rapid doors are obviously built with speed in mind so it is crucial that your door is quick. Although it is important to note that speed is irrelevant if your door breaks down easily or has a loose seal. Seal: Your rapid roller door should have a tight seal so that when it is closed there is minimal air flow between the two segregated zones. 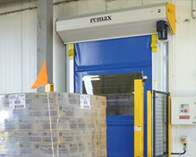 The benefits of rapid roller doors are especially impressive when considered in unison. The speed, tight seal, and insulation combine to make rapid roller doors perfect for high traffic doorways. When combined with reliability these benefits make rapid roller doors even better. 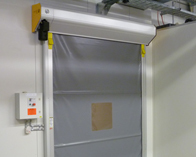 Whether you are segregating high traffic warehouse areas for contamination, pest control, sanitation or temperature control the benefits of rapid roller doors are hard to beat. By having minimum open time and a well insulated tight seal, rapid roller doors offer the best segregation of two areas in your warehouse. If you would like to read more about the costs involved with rapid roller doors click here, or if you would like a more comprehensive view of roller doors please download our free eBook by clicking on the link below.